When a legal marriage takes place, a marriage schedule is signed and then sent back to the registry office and you will probably never see that again. In a non legal ceremony, it’s fitting to mark the special occasion with a keepsake certificate. 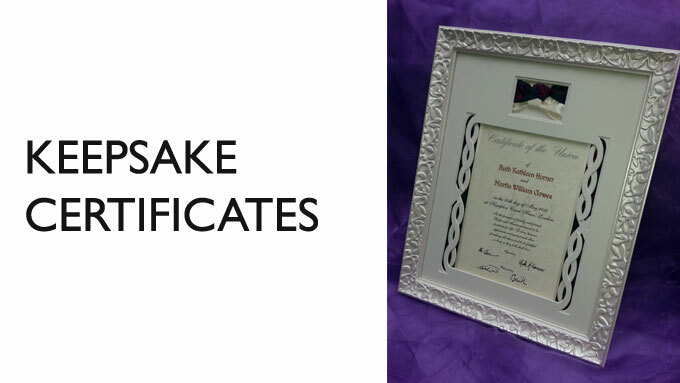 With a personalised certificate you will have another permanent reminder of your vows or promises that you are making to each other and can be framed, if you wish, with a handfasting, quaich or even some confetti.